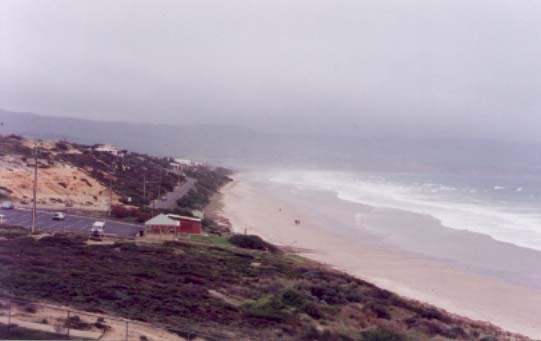 Aldinga on a very wintry day. Much to the chagrin of many it is possible to drive your car along this beach. In the background the Myponga hills can just be seen in the mist.